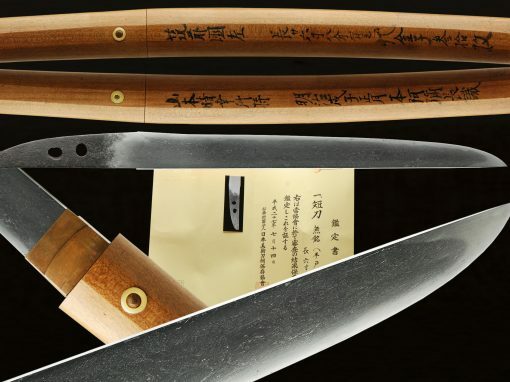 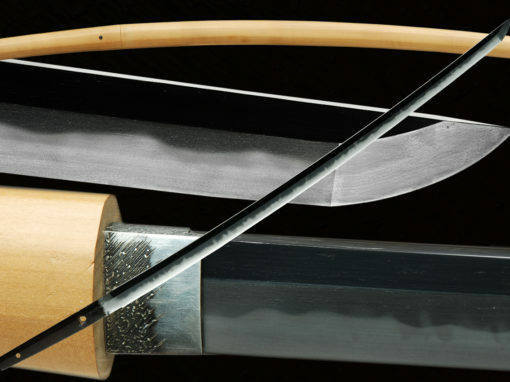 This is an exquisite katana that has beautiful activity and is well made. 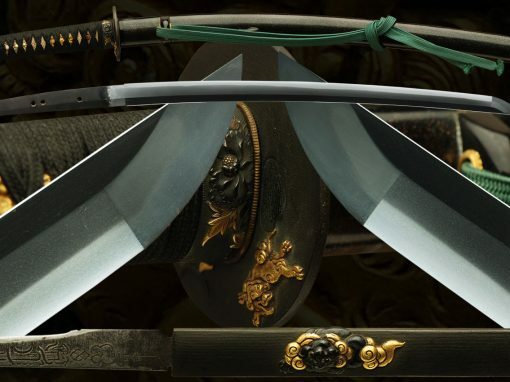 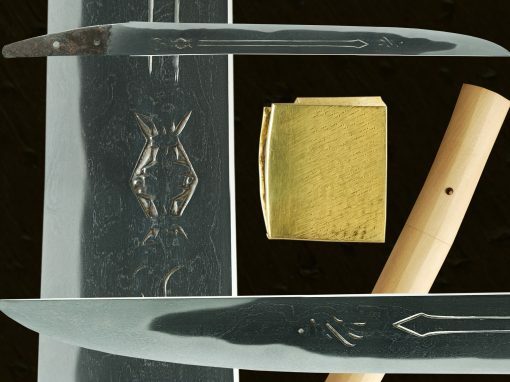 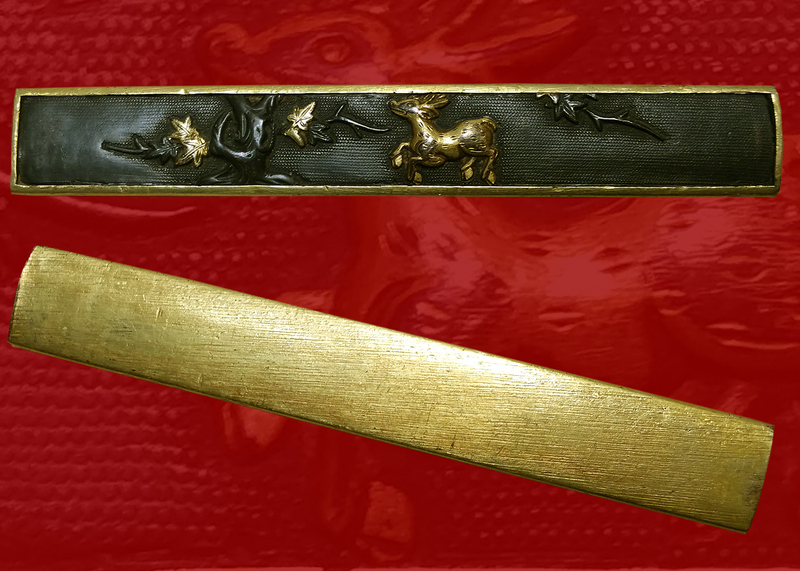 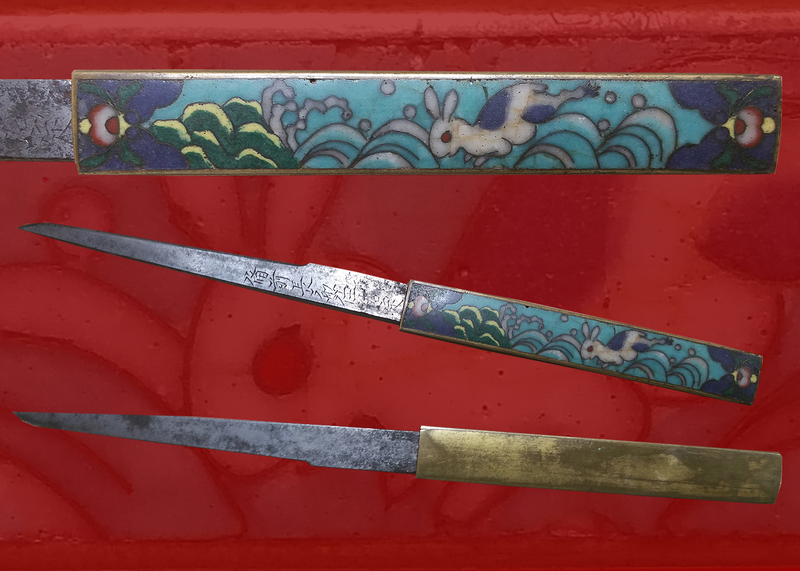 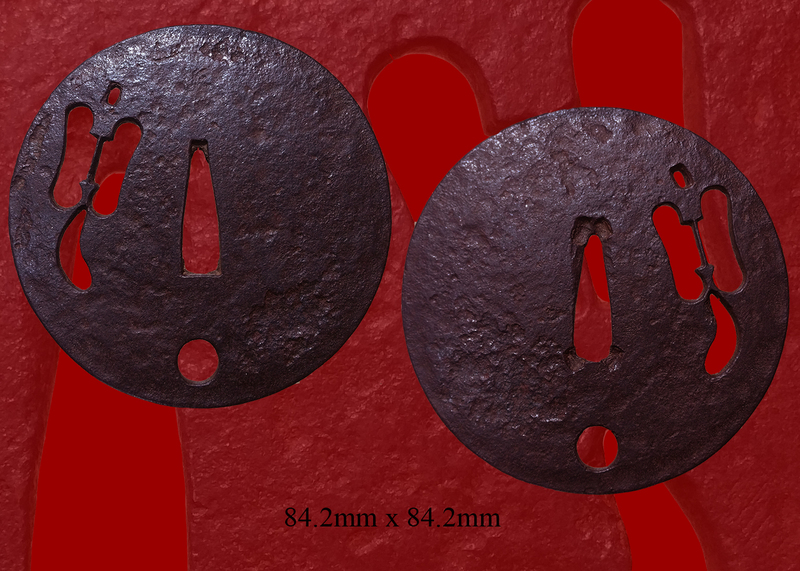 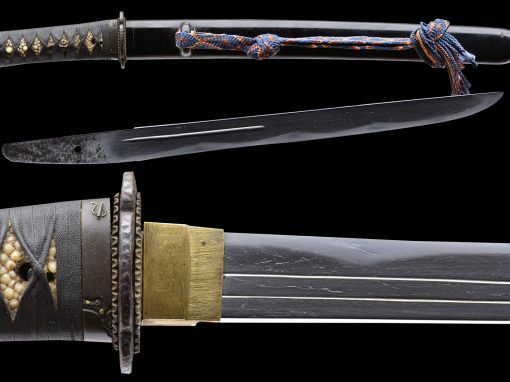 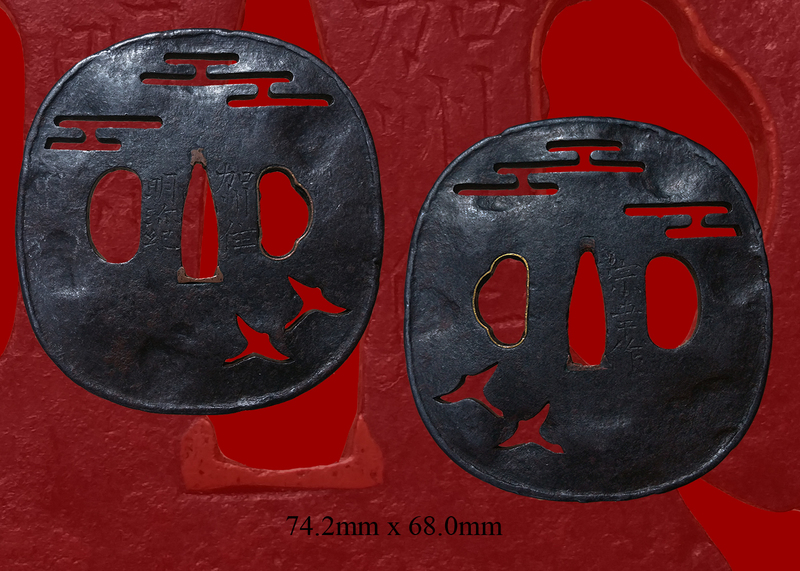 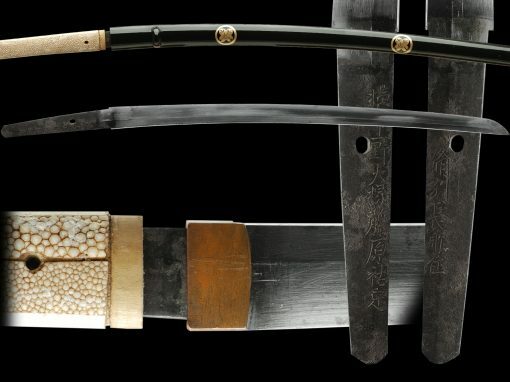 It is from the shinto era around 1600’s and accompanied with NBTHK papers attributing it to a Jumyo swordsmith and also attesting to its quality. 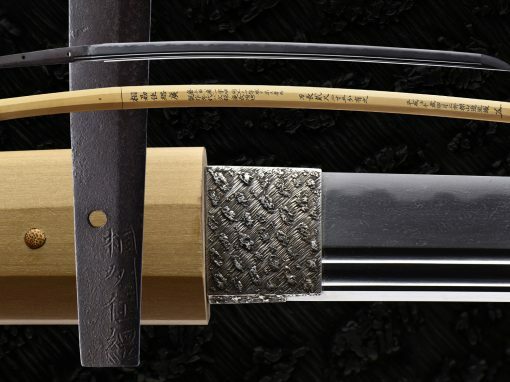 The hamon is gunome midare and it has many hataraki. 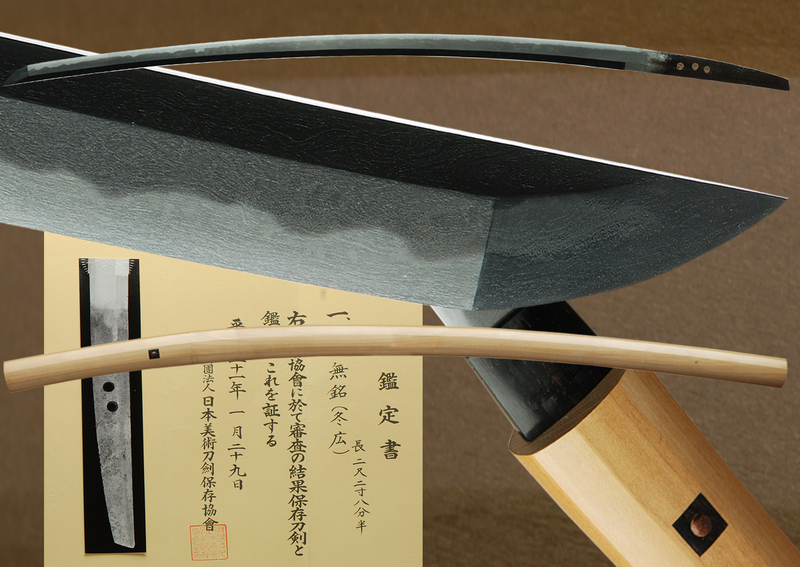 The shape is elegant and well balanced. 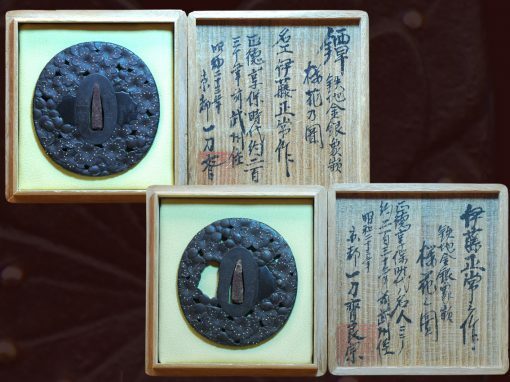 The hada is very rich and profoundly active. 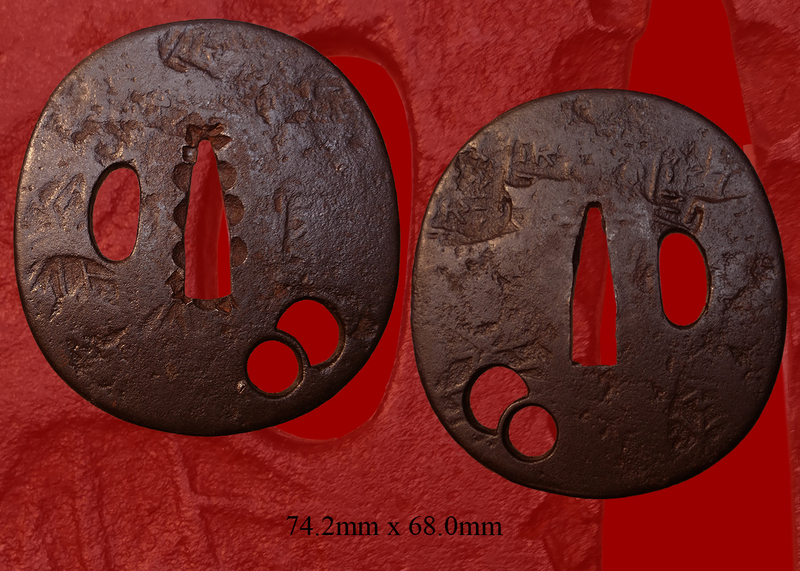 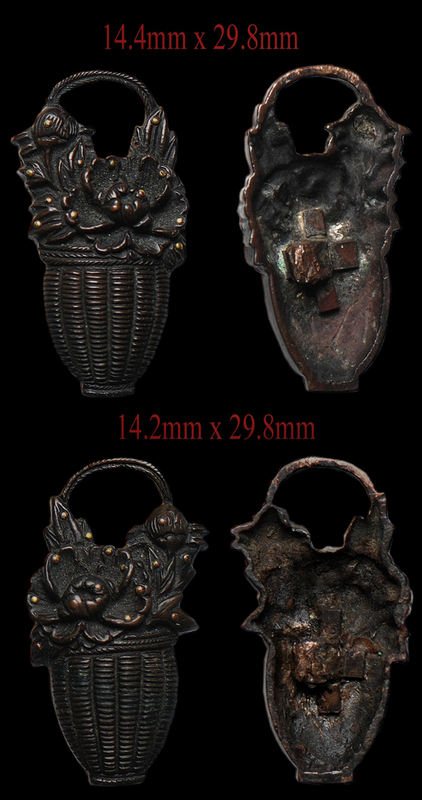 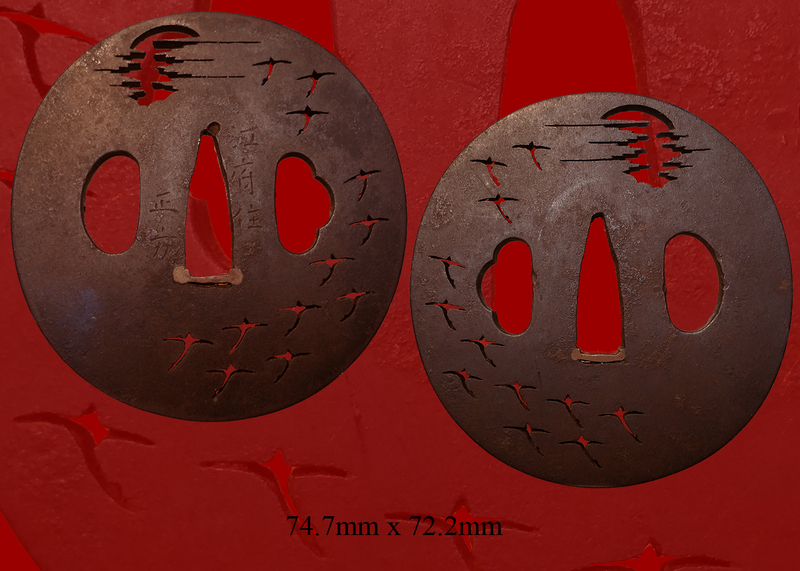 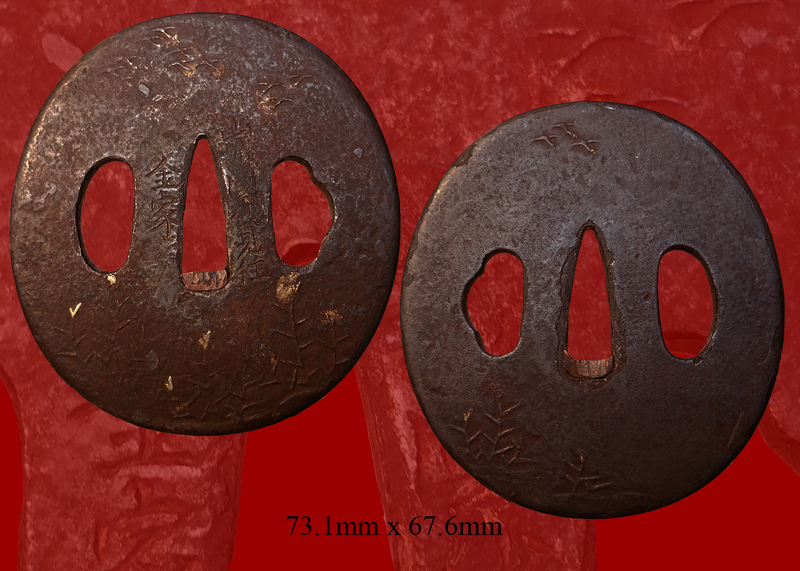 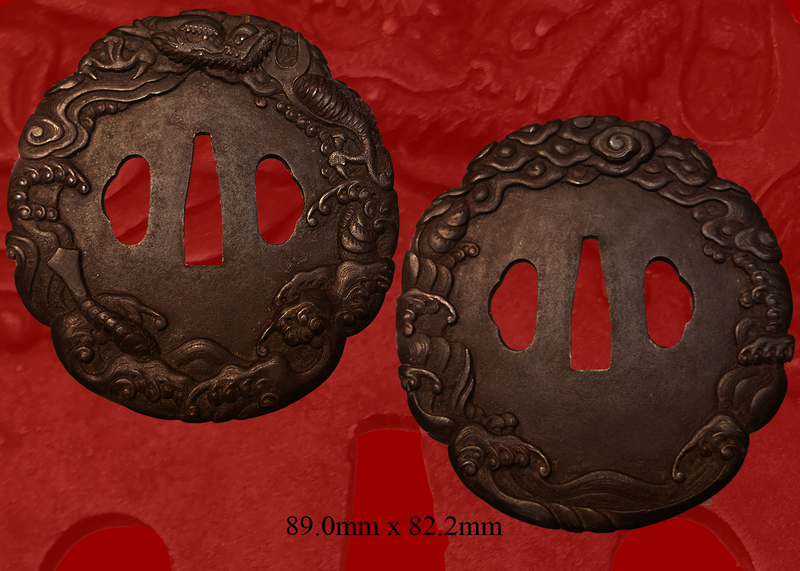 The mounts are also very interesting and attractive with original old fitting that are also dating back to the shinto era. 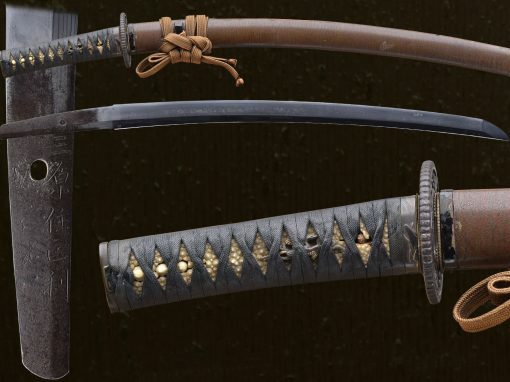 This beautiful sword is even more interesting when viewing in hand. 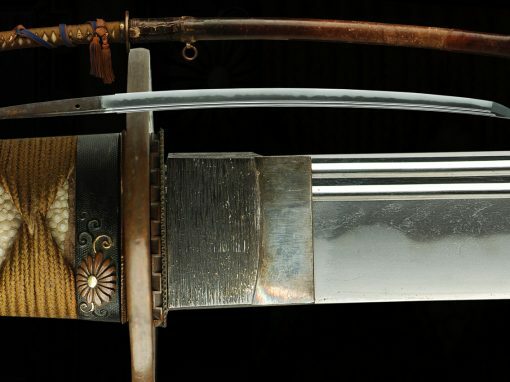 A fine collectable sword. 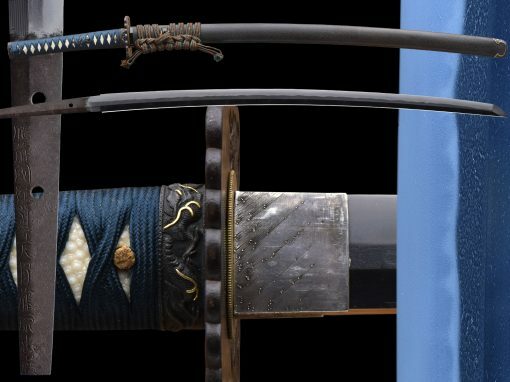 JUMYO(Toshinaga) 寿命 school, it’s founder was born in Seki town, Mino province in Tensho 8 (1580), real name was Kondo Sukezaemon 近藤助左衛門. 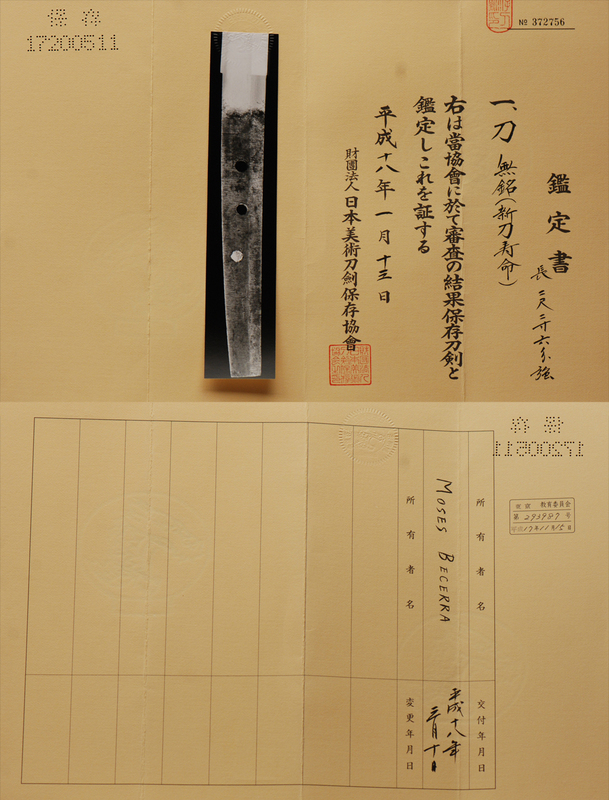 He had moved to Kiyosu castle town during Keicho(1596-1614) period and the enjoyed Tango-no-kami 丹後守 title in Kanei 2 (1625). 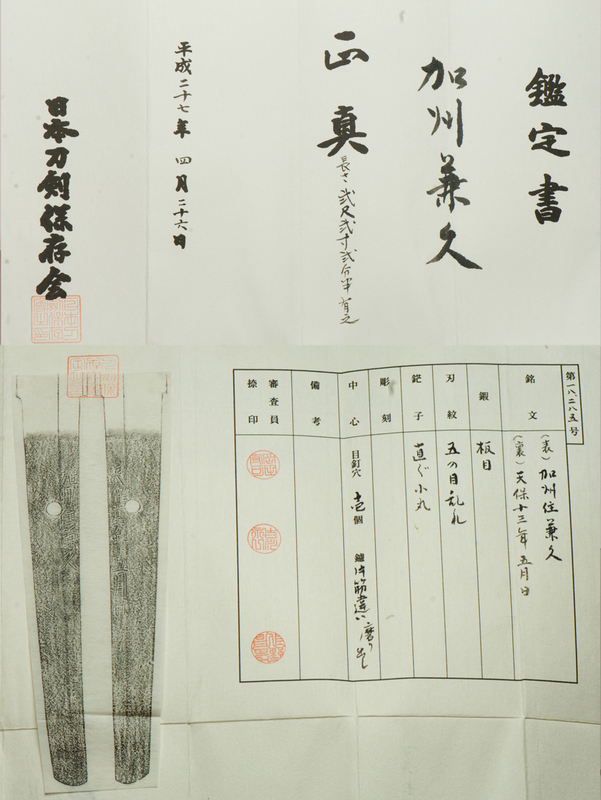 JUMYO school had been prospered in 5 generations during Edo period under the patronage of Owari Tokugawa clans. 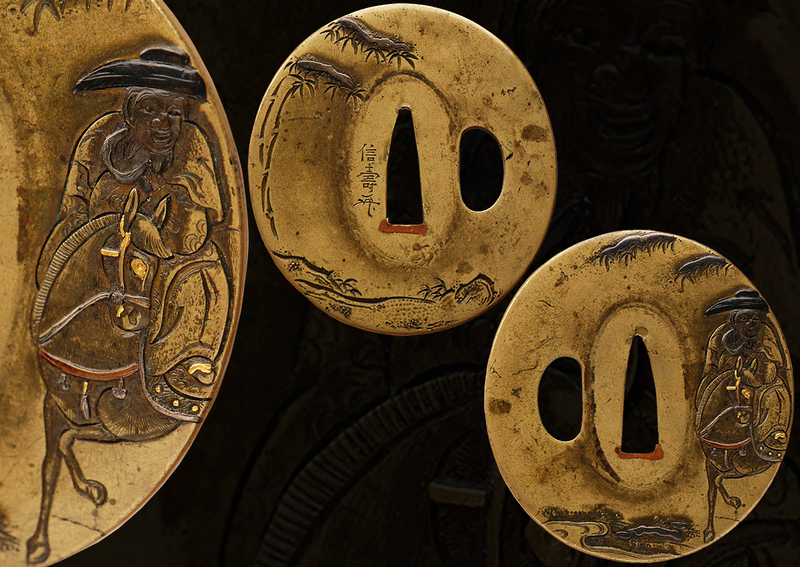 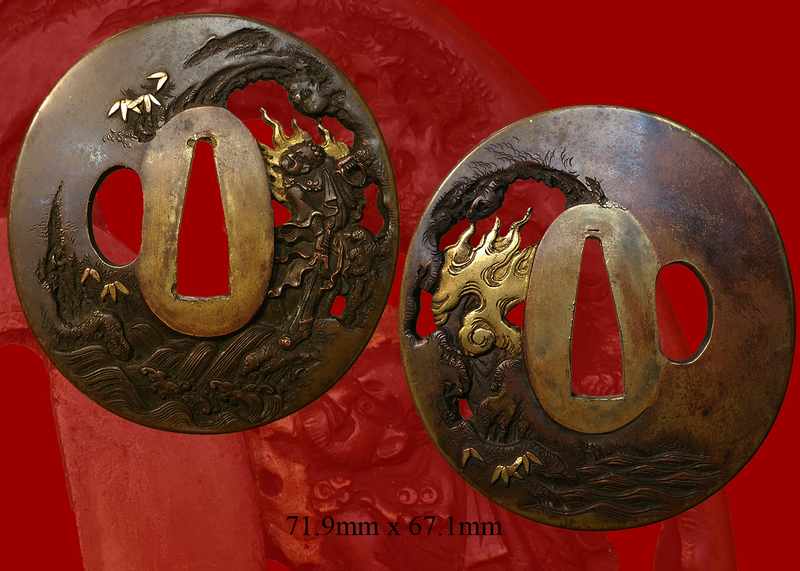 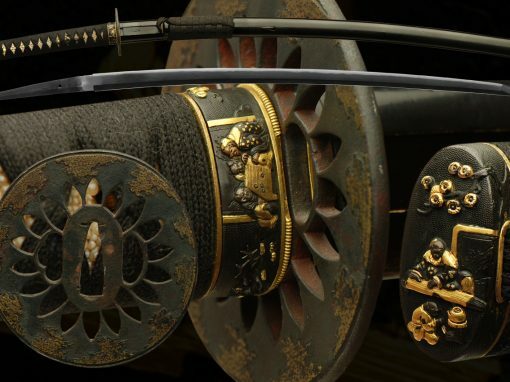 JUMYO(Toshinaga) 寿命, it exactly means [happy long life] so that most of Samurais treasured JUMYO works. 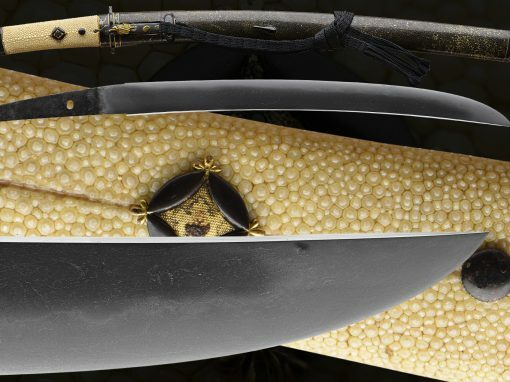 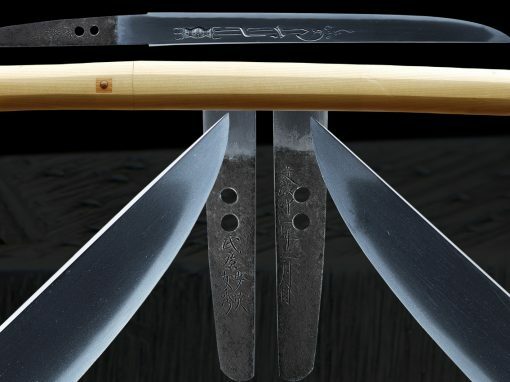 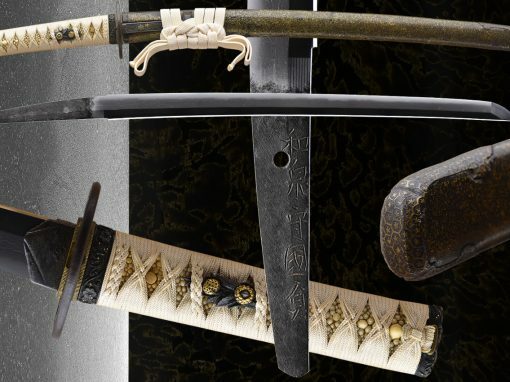 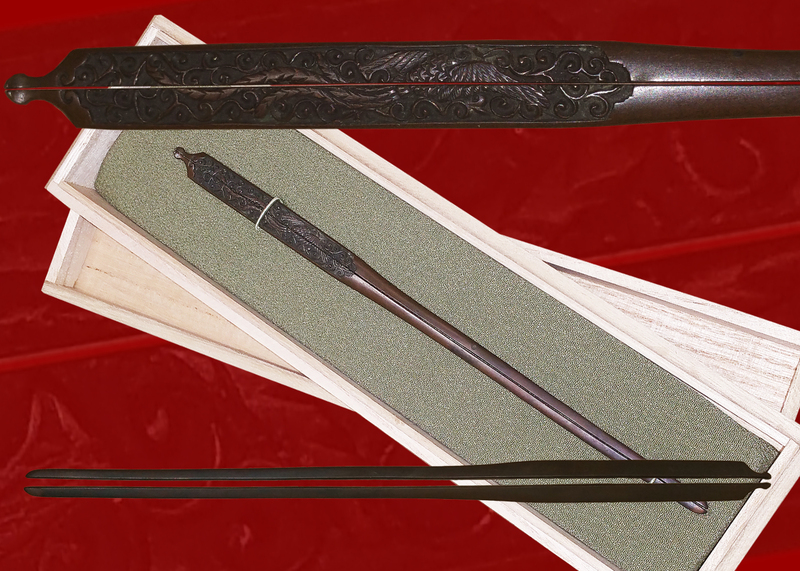 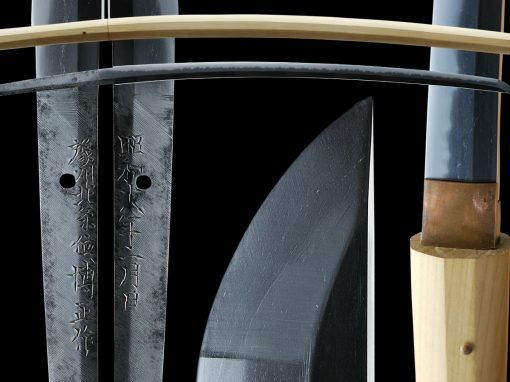 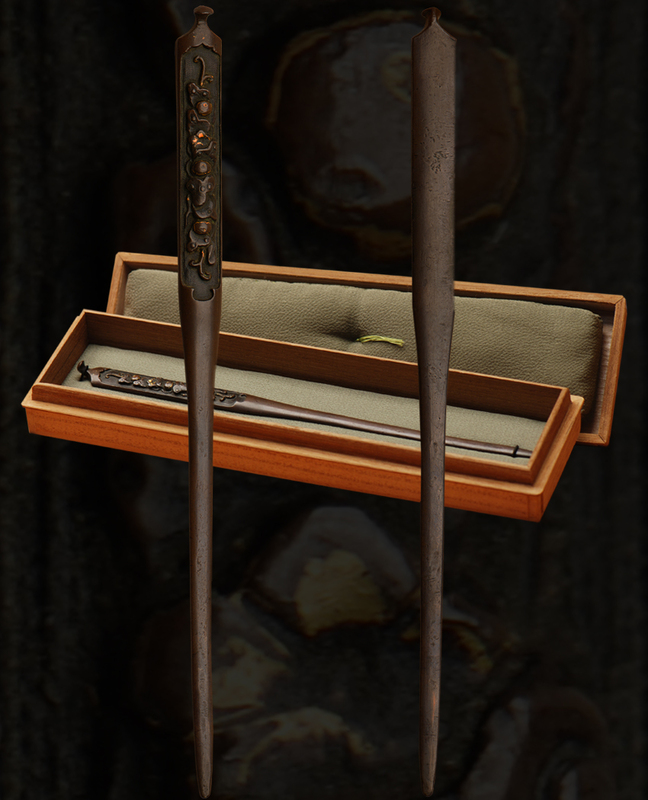 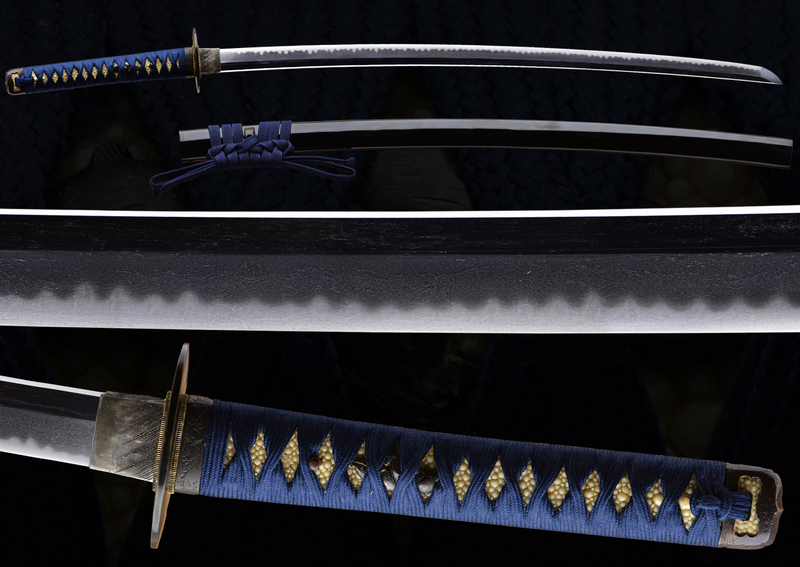 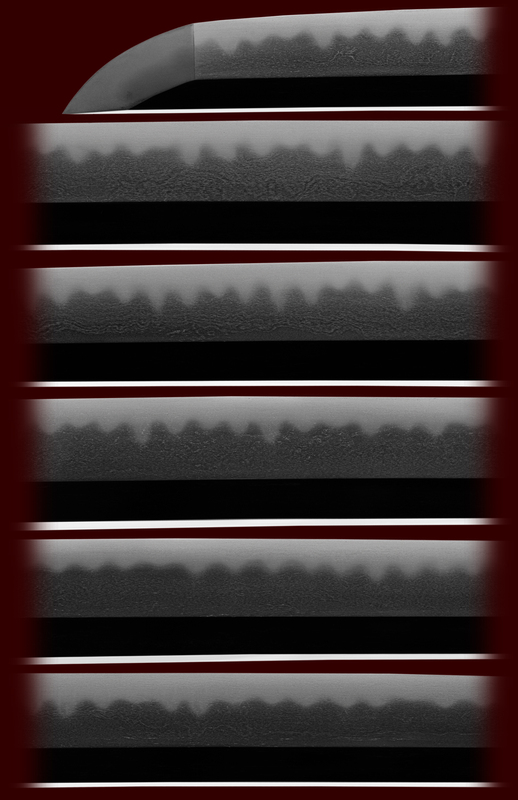 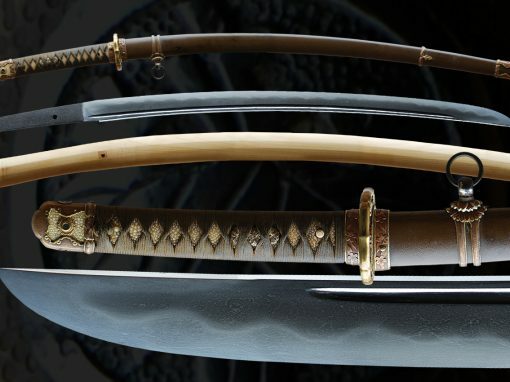 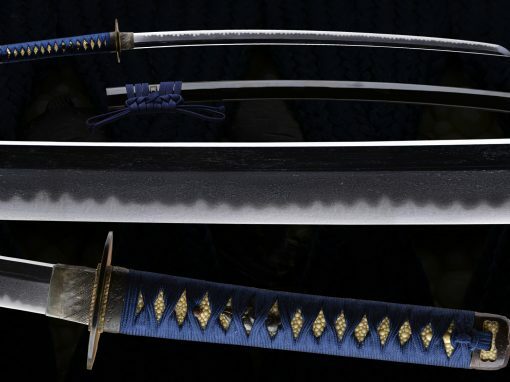 This sword comes with a shirasaya and tsunagi for its mounts. 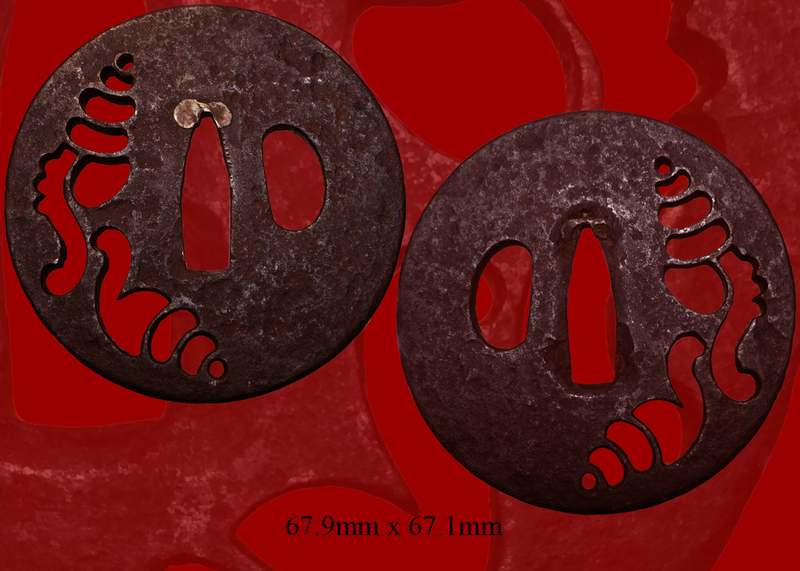 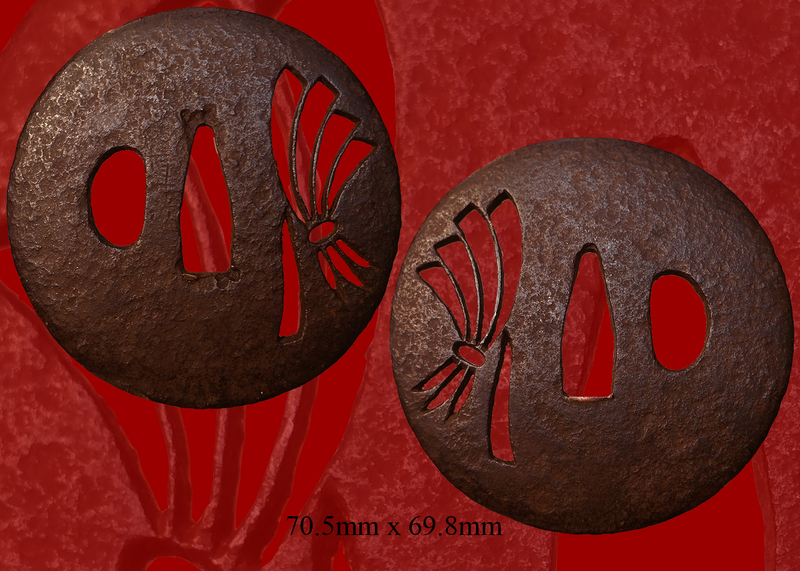 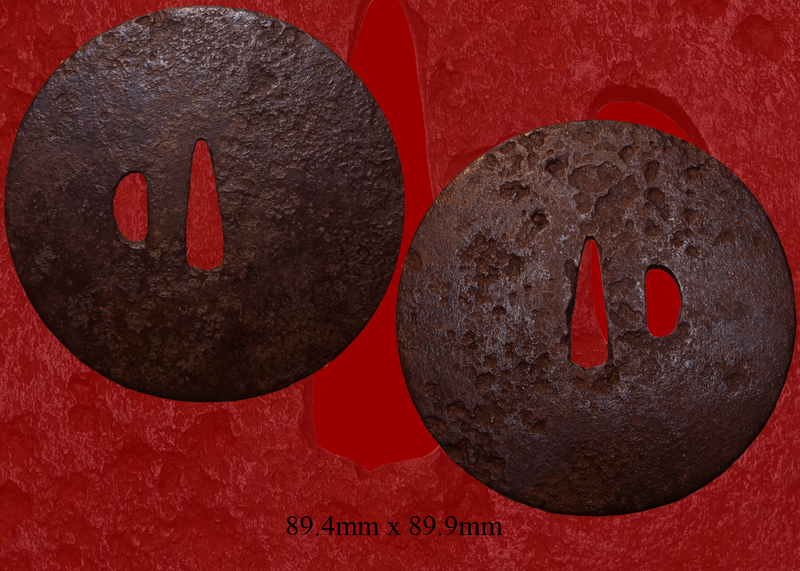 Email us if your interested in this item and remember to include the order number for this item: fss-827.